Paris, France – also known as “the city of love” – is home to more than just romance. 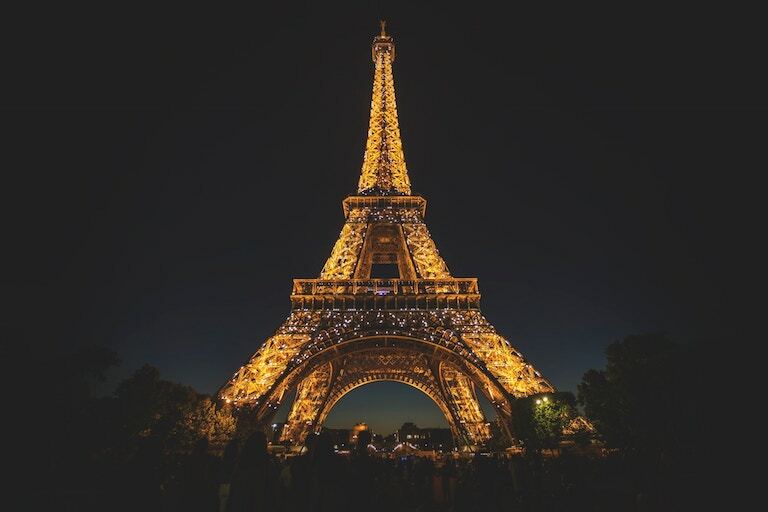 Although most people might associate Paris with thoughts of a romantic vacation – gazing at sunsets painted behind a silhouette of the Eiffel Tower, sharing a five-star meal at Le Coulaincourt or touring the world-renowned Louvre – Renee McCarley thinks of Paris as home. Renee, a resident at Life Care Center of Post Falls, Idaho, was born in 1928 in the German Imperial Territory of Alsace-Lorraine bordering Germany, Switzerland, Belgium and Luxembourg. She lived in France during its temporary collapse in 1940 as a result of World War II, and immigrated to America at the age of 16 during the war with her newlywed husband Willie Moe. After coming to America, Renee and Willie came to Lewiston, Idaho. Together, they had four beautiful children named Jack, Claudette, Annette and Cindy Lou. However, after Willie died of a heart attack a few years later, she remarried to her second husband, Doyle McCarley. Though life continued to move forward for Renee, she never forgot her French roots and dreamed of returning to visit France and its capital city again one day with her family. “I saw her one day – I always give her big hugs – and I asked her how she was doing. She said, ‘Not well,’ because her birthday was coming up. She said that it was her dream to go back to Paris with her family, and she was afraid she wasn’t going to get to go back. It just tugged at my heart, so I came back to my office and thought, ‘Well, she might not be able to go to France, but we can sure bring France to her,’” said Jan.
Jan collaborated with the staff to coordinate every detail of the celebration. Wendy Lebsack, the lifestyles coordinator at Garden Plaza of Post Falls, also helped to coordinate the venue and décor for the event. The celebration was held at Garden Plaza, featuring live music, authentic French cuisine and even posters with pictures of France beautifully displayed around the room to create the ambiance. Matt Hale, the chef at Garden Plaza, also contributed by making a delectable French dinner of chicken cordon bleu, fettuccini and squash to give everyone a little taste of France. To surprise Renee, her daughter, Annette, brought her down from her room under the impression that she had a meeting with someone. Upon seeing the birthday celebration held in her honor and her dream of returning to Paris brought to life, Renee was speechless. Renee agreed that the party truly captured the spirit of Paris. Renee also added that she was very grateful to Jan for planning her celebration.